What Should Be Expected From A PEEK Cage Manufacturer? Every PEEK cage manufacturer is responsible for producing safe, effective and consistent components for spinal surgeries. As such, medical facilities should select a manufacturer with experience in handling polymers and with a commitment to product and process quality. The patients’ health and surgeons’ success depend on it. What should medical practitioners expect from a PEEK cage manufacturer? Material selection versatility – There are several high performance polymer families relevant to medicine, though PEEK is the most notable among them. Some brands of PSU and PPSU can also be implanted in patients, and non-implantable polymers like PAI can still be fabricated into medical applications that won’t be used in vivo. While most medical facilities will prioritize PEEK above all else, if your PEEK cage manufacturer can process a wider variety of polymers, they can select the perfect polymer and polymer brand for your component needs. Choosing a polymer family is easy enough, but it gets a bit more complicated when it’s time to select a particular brand. The differences between two PEEK brands, in terms of performance, for example, can be impossible to figure out without assistance from a knowledgeable convertor. Also, one of PEEK’s standout characteristics is its ability to be modified, as PEEK can be mixed with additives that dramatically alter its capabilities and properties. 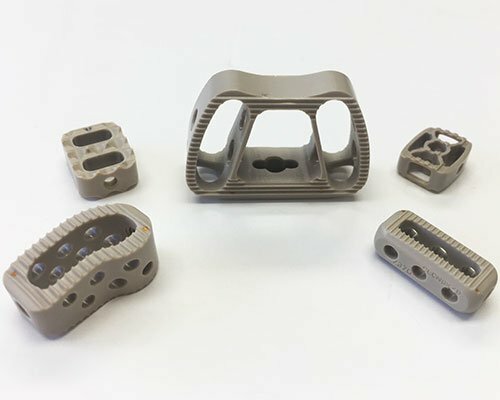 The PEEK cage manufacturer must have a different approach with each compound, as some are easier to machine and shape than others. If your convertor and fabricator has experience with a variety of polymers and resins, they will be better prepared to work with modified forms of PEEK. 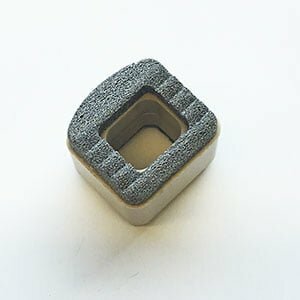 This is of interest to medical facilities, as PEEK modified with chopped carbon, barium sulfate or other additives is essential to device performance for a given application. PEEK with carbon, for instance, offers added stiffness and strength, making it an ideal choice for hard tissue replacement. Processing versatility – Although high performance polymers are much more thermally stable than standard polymers, they can still be processed in several ways. Ideally, your PEEK cage manufacturer would have the perfect material and processing solution, but not all do. The ideal convertor should be able to melt process into stock shapes, machine the polymer and process the polymer using heated injection molding methods. Does the fabricator have the latest machining technology on hand? They should leverage the latest in computer-aided design and manufacturing (CAD/CAM) to fabricate the component to precise specifications. Is the convertor monitoring their heated injection molding processes? An advanced approach is to outfit heat injectors with RJG sensors to monitor cavity pressure and temperature. Cavity pressure is a telling metric that can be used to detect shorts, sinks, voids, flash and various stresses, while temperature data helps identify blockages or imbalances. Together, pressure and temperature data will ensure less than ideally processed components leave the facility. What if something out of the mainstream is required? While most fabricators and convertors can handle machining and injection molding, only experienced manufacturers can manage processes like film calandering. While film calandering isn’t used for spinal cages, it takes special expertise to execute it, and that’s the kind of expertise medical facilities want in their PEEK cage manufacturer. Quality controls – Medical devices must be held to the most stringent quality controls available, and a reputable fabricator will take this seriously. Your PEEK cage manufacturer should have a level of ISO certification in place, with ISO 9001:2015 and ISO 13485 being the most important. ISO 9001:2015 is a set of requirements that organizations must fulfill to be considered certified, and addresses the practices that a business must follow to guarantee quality products. It is an important start, but ISO 9001 is a general standard. ISO 13485 is more relevant to medical device manufacturers and demonstrates a deeper commitment to product and process quality. ISO 13485 only concerns medical devices and lays out the requirements that device manufacturers must follow to maintain product safety and quality. This includes focusing on risk management and design control activities, offering full inspection and traceability for any implantable devices, implementing processes to ensure sterile devices and implementing processes for correcting or preventing issues. ISO 13485 also requires the PEEK cage manufacturer to know and adhere to market-specific regulations, and in this case, that means the FDA’s regulatory language. For PEEK cage manufacturers, it’s the FDA 21 CFR part 820 that is of particular importance. This piece of regulation requires process validation when the device’s essential characteristics cannot be verified following production, even with full testing and inspection. This is usually the case when a material’s composition is not enough to predict its performance as a medical component. Your PEEK cage manufacturer should have evidence on hand to demonstrate process validation, and to verify their compliance with the FDA and other national standards. A PEEK cage manufacturer fabricates components that will be implanted into the spine. The spine is a delicate, biologically complex environment that must be handled with precision. Any implanted devices, then, must be precisely designed and fabricated, and doing that requires a PEEK cage manufacturer that emphasizes process quality, consistency and versatility. What Benefits Do PEEK Spinal Cages Offer Patients?